To start posting about some more fun things (it can’t be all upgrades and repairs) I thought I would add some cocktail recipes. 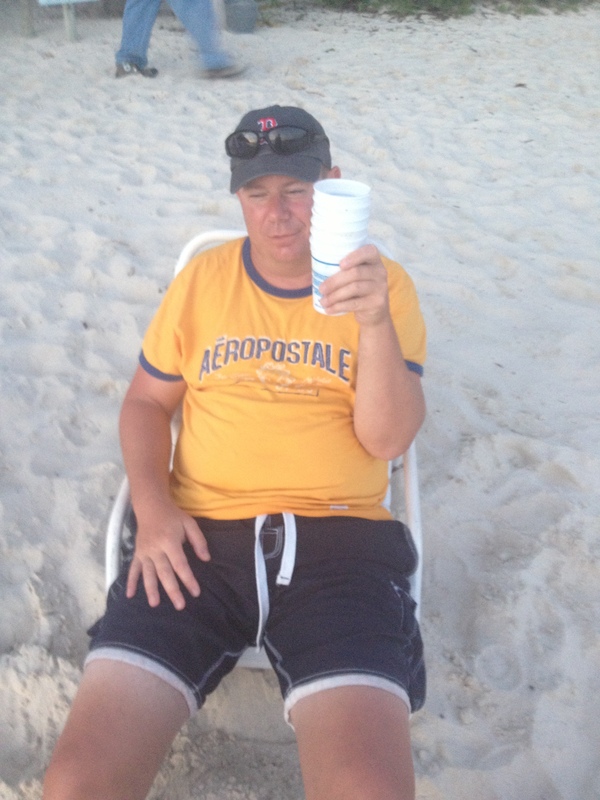 While this one is tagged in the category “Sundowner” it’s actually more of a “Sunupper”. The perfect morning drink for having friends over for breakfast before going for a sail. So this Sunday I made a pitcher of Painkillers. A great tropical fruity drink that is claimed to have been invented at the Soggy Dollar Bar on Jost Van Dyke in the British Virgin Islands. My Bride and I were first introduced to this drink on a cruise from St. Thomas to the BVIs shortly after we were married in April of 2002. Since then we have enjoyed them in many places, including the Soggy Dollar Bar. But don’t be mistaken by this sweat mix, these can creep up on you very quick. For the ingredients you will need some orange juice, pineapple juice, cream de coconut, rum, nutmeg (fresh, whole nutmeg that you grate yourself is preferred) and ice. The ratios for the mix are a bit disputed. 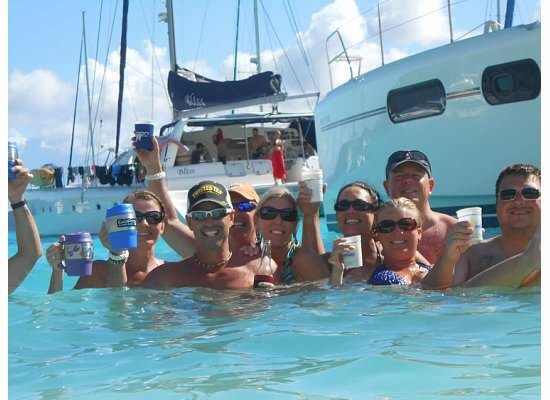 Pusser’s Rum, a great rum for making painkillers and staple of the BVIs, claims you put 2 ounces of rum, 4 ounces of pineapple juice, 1 ounce of orange juice and 1 ounce of cream de coconut. The founder of Pusser’s, Chales Tobias, claims to have stolen this from Daphne Henderson, owner of the Soggy Dollar and inventor of the painkiller. However I think the 4-1-1 ratio is off. Others claim a 1-1-1 ratio is correct. It took me a lot of experimenting to get my ratio down (I know, such tough, unrewarding work) but I think I have it just about perfect. I prefer to make the non-alcoholic portion of the mix separate from the rum. I do this in the ratio of 2 parts pineapple juice, 1 part cream de coconut and 2 parts orange juice. Then you can decide how strong you want to make your painkillers for each person. My Bride prefers hers with about one and half ounces of rum while I like mine with about 4 ounces of rum. But to me, rum choice makes a big difference. My first choice is Pusser’s, but I don’t like this rum for other cocktails so I don’t typically have this one on the boat. Other good choices include Captain Morgan Black (I only use about 2 ounces of this rum) or Cruzan Spiced Rum. 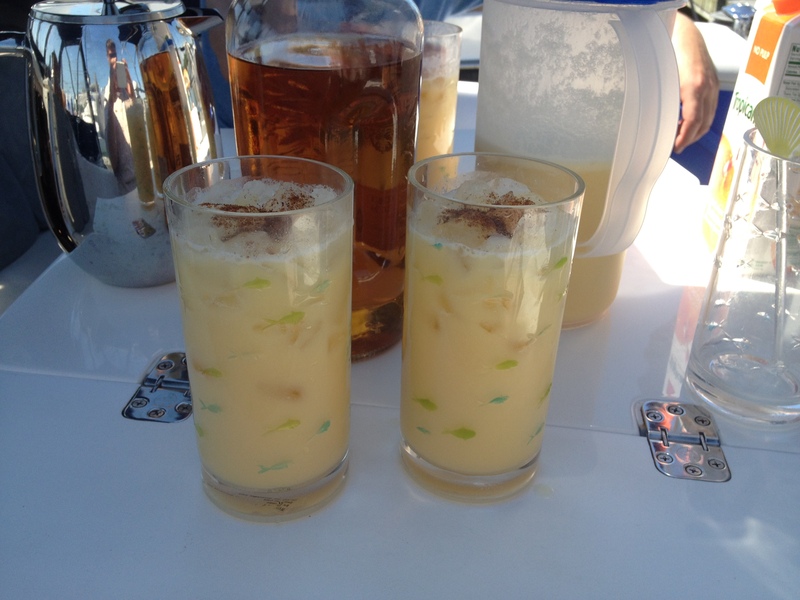 Once you are mixed, top it off with some nutmeg and you have a perfect cocktail for a warm day on the water.